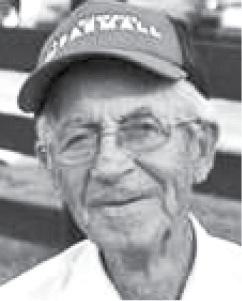 Marshall Cordell Brown, 93, of the Hiseville community, passed away Saturday, January 26, 2019. He was born April 16, 1925 in Albany, Kentucky, to the late Herbert C. Brown and Ethel Mathis Brown and was married to the late Sammie Lee Byrd Brown. He is survived by one daughter, Sheila Galloway, of Hiseville; five sons, Chris Brown (Becky) and Jackie Brown (Robin), Donnie Brown (Margaret), all of Hiseville, Jimmy Brown (Becky), of Crail Hope, Kentucky, and Steve Brown (Kathryn), of Wisdom; 20 grandchildren; 30 great-grandchildren; three great-great-grandchildren; two brothers, Prentice Brown (Janet) and Billy Brown (Dorothy), both of Albany, Kentucky; two sisters, Lona Mae Prior, of New Castle, Indiana, and Alice Dowell (James), of Albany, Kentucky. In addition to his parents and wife, Marshall was preceded in death by five brothers: James Richard, Samuel, Eugene, J.B. and Marion; two sisters: Cordellia Hartman and Maxine Griffin. The funeral was. Tuesday, January 29, 2019 at Hatcher & Saddler Funeral Home with burial in Hiseville Cemetery. Hatcher & Saddler Funeral Home in Glasgow was in charge of arrantements.